I started on a trip through Yosemite and the Eastern Sierra Nevada yesterday. 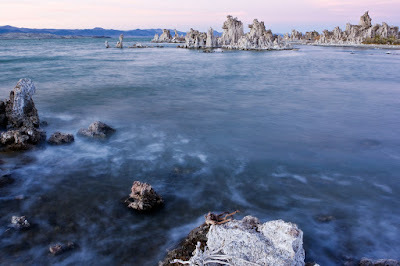 This evening we arrived at Mono Lake and I took the opportunity to do some shooting. At first the sunset looked uninspiring but then the afterglow wasn't too bad. I will be returning to the South Tufas early tomorrow morning just before sunrise. Technical Specs: Canon 1D3, 24-70 @ 24mm, f/22, 4s, ISO 100.